It’s 10° outside, another Minnesota winter. 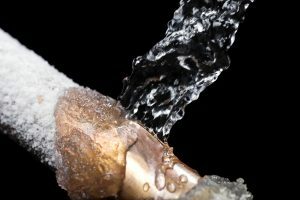 You just got home from vacation, to find parts of your plumbing have frozen while you were away. When you have a frozen pipe, call us right away. It’s important to know that when water freezes, it expands, rupturing the pipe it’s running through. A burst pipe will expel hundreds of gallons of water every hour into your home, causing significant damage. If you notice frozen pipes, it’s important you call someone right away. Make sure that even if you leave your home for a period of time to keep your heat on. Your thermostat doesn’t need to be set to it’s normal temperature, but keeping it over 60° is a good idea.